In order to study the distribution law of crustal stress in gully geomorphic mining area, stress relief method is used to measure the crustal stress at the limited points in the mining area. Based on the measured results of crustal stress at each measuring point, the crustal stress distribution law in the mining area is inversely analyzed by using numerical simulation software. Research shows: The crustal stress of Wangjialing Mine is closely related to its gully geomorphological characteristics. The crustal stress and the mining pressure of shallow-buried gully have great influence on coal mining. Compared with the tectonic stress, the damage of the vertical stress to the underground roadway is not obvious, and the horizontal tectonic stress is the main force source of the roadway instability and deformation. The maximum principal stress, the intermediate principal stress and the minimum principal stress all increase with the increase of burial depth. The difference between the intermediate principal stress and the minimum principal stress is small, and the change of lateral pressure coefficient is not obvious with the increase of burial depth. 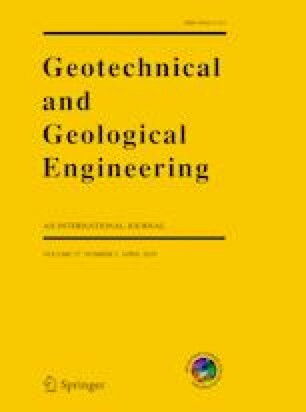 In this paper, the research was supported by Shandong Province Higher Educational Science and Technology Program (J18KA195), the Key R&D Program of Shandong (2018GNC110023) and the Development Program (Guidance Program) for Science and Technology of Tai’an (2018GX0031).